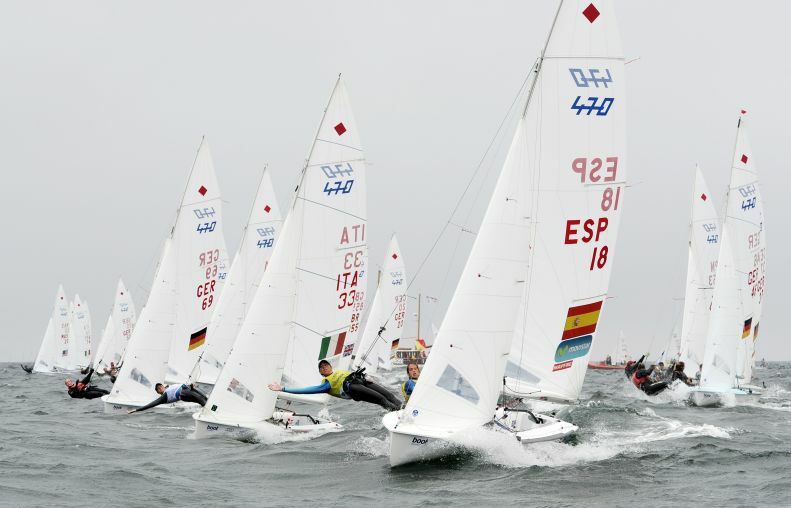 The waters off Kiel, Germany shrugged off their reputation for chilly Baltic temperatures and turned on Mediterranean temperatures and much more settled breezes on day 2 at the 2016 470 Junior World Championship. Clearly the warmth and decent breezes suited the Spanish partnership of Silvia Mas/Paula Barcelo who accelerated to take over pole position in the 470 Women fleet by 5 points. In the 470 Men, Germany’s Malte Winkel/Matti Cipra still lead, but the race track belonged to Italy’s Giacomo Ferrari/Giulio Calabro were unstoppable, winning both races. After yesterday’s problematic opening day, with unsettled shifty breezes, smiles were more evident around the 470 Junior World Championship boat park. The Men’s fleets faced two races in a settled 8-12 knots to complete their qualifying series, and from Friday continue in gold and silver fleet splits. 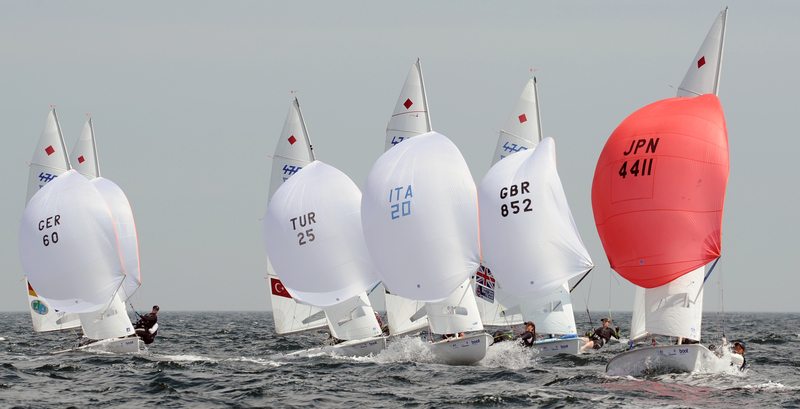 The Women’s fleet tackled 3 races in their single series format. "Yesterday was crazy, today it was much better. We will continue to do our best in the following days," added Ferrari. Regardless of the Italian’s prowess today, it is Germany’s Malte Winkel/Matti Cipra who ride a wave of confidence on the race track they know well. "It's all about not making any mistakes," continued Winkel. "Until now we managed really well. But the team from Italy are very strong." 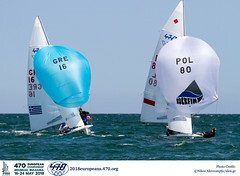 The German pair, who have never before led a regatta as important as the 470 Junior World Championship, hold an advantage of two points over Japan’s Keiju Okada/Naoya Kimura, with stiff competition just 4 points behind in the form of Spain’s twin brothers David and Alex Charles. The Spanish are pursued by Italians Giacomo Ferrari/Giulio Calabro. Keiju Okada/Naoya Kimura could not reinforce their strong start from yesterday, but results of 5,7 keep them just 2 points off Germany’s series leaders. Defending champions, Guillaume Pirouelle/ Valentin Sipan, were less satisfied. After a third and a sixth place they are now in fifth overall. Israel’s Maor Abu/Yoaz Rooz are working on the best way to put their plan of securing a medal into practice, despite making their debut season in the 470 Class. After three consecutive 6th place finishes yesterday, they upgraded to a race win and second place today, and are cautiously optimistic. “It was a very successful day today, different than yesterday. But we cannot afford to make mistakes. As soon as there is a chance, the fleet passes by,” explained Abu. With just 7 points separating the top six teams, everything is all open going into Friday’s first final series races. It was not today’s sticky heat which made Spain’s partnership of Silvia Mas/Paula Barcelo feel at home, but the breeze patterns and choppy sea which they say are reminiscent of home training waters on the Bay of Palma. "It was not tricky like yesterday, much more settled and usually the left was strong. I think we can do well here if we can keep this up into the finals," explained Barcelo on their 2,4,2 in the day’s three races for the 470 Women. Knocking overnight leaders Marina Lefort/Lara Granier off the top of the leaderboard is no surprise from this hugely talented team. In 2014, Mas won the ISAF Youth Worlds with her former crew, and last year with Barcelo picked up silver medals at the 2105 470 Junior Europeans. 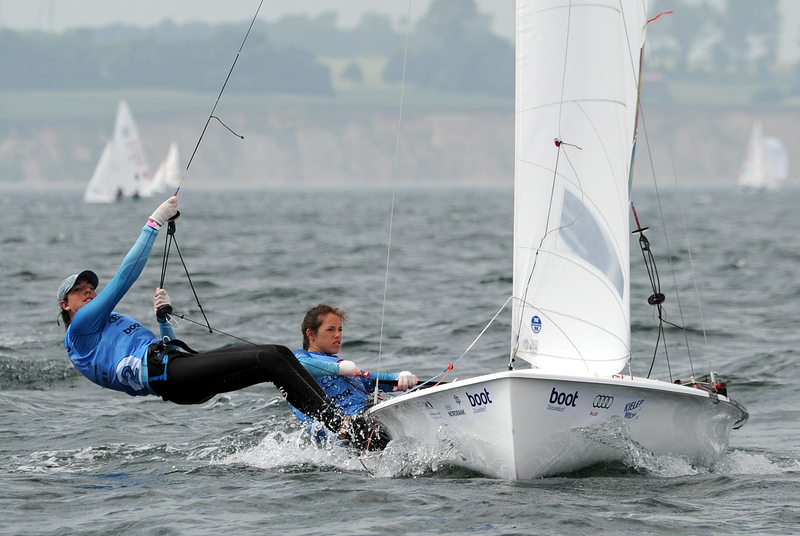 So far, form is looking on target to upgrade from their 6th place at last year’s 470 Junior Worlds. "Today it was not as tricky as yesterday. The conditions were a bit like in Palma, where we have trained a lot. So that was our advantage today," said Mas. Newcomers in the 470 class, and overnight leaders Lefort/Granier, who had a strong start in yesterday’s light breeze, didn’t repeat their performance and dropped to 4th overall. Regardless, still impressive form in the quality of fleet. “We are here to see what is possible in the class," stated the sailors from Marseille. Defending Champions, Benedetta di Salle/Alessandra Dubbini are 5th overall. "It is okay, but we can do better," said di Salle in simple conclusion of their race card so far. 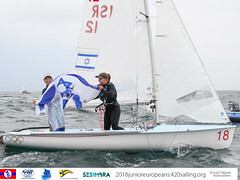 Frederike Loewe/Anna Markfort, representing the National German Sailing Team, kept up their form, counting a win in race 5, to end day 2 in third overall. 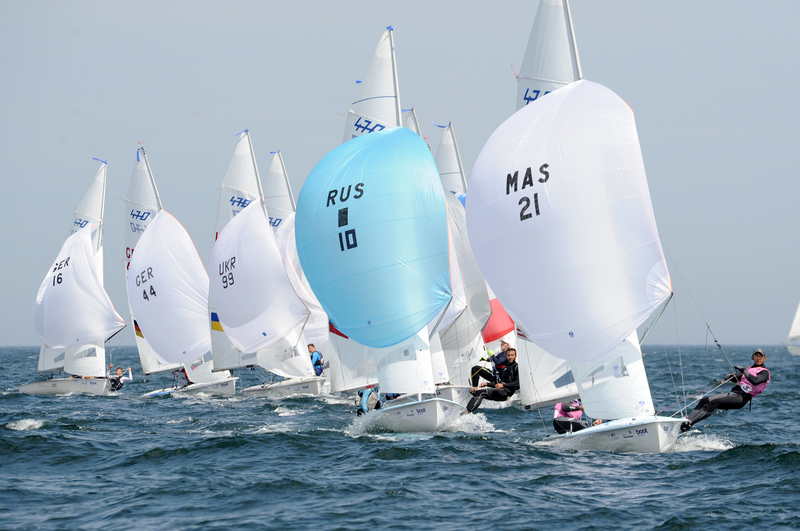 The 2016 470 Junior World Championship is organized by Kieler Yacht-Club in co-operation with the International 470 Class Association, 20-26 June 2016, Kiel, Germany. The racing format is a 10 race series scheduled for the 470 Men and 470 Women fleets, followed by the medal race for the top ten teams in each fleet and a final race for the other teams. 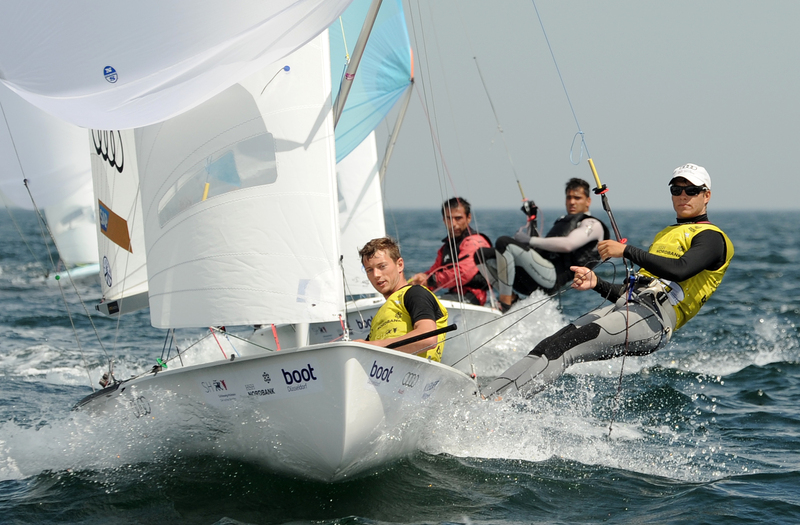 The men’s fleet are seeded into yellow and blue fleet for the qualifying series, before being split into gold and silver for the final series, with the women racing a single fleet series. 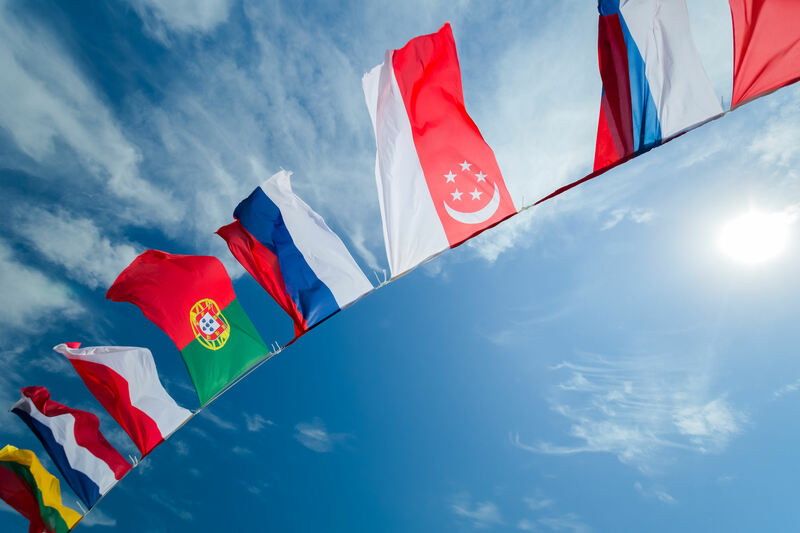 Nations represented at the 2016 470 Junior World Championship are: Australia, Brazil, Finland, France, Great Britain, Germany, Greece, Hungary, Israel, Italy, Japan, Malaysia, New Zealand, Poland, Russia, Singapore, Slovenia, South Africa, Spain, Switzerland, Turkey, Ukraine. A performance racing machine, the 470 rewards agility, tactics, tuning, sailing skills, strategy and mental astuteness. Teamwork is crucial and the pressure is high, with Junior World titles at stake. 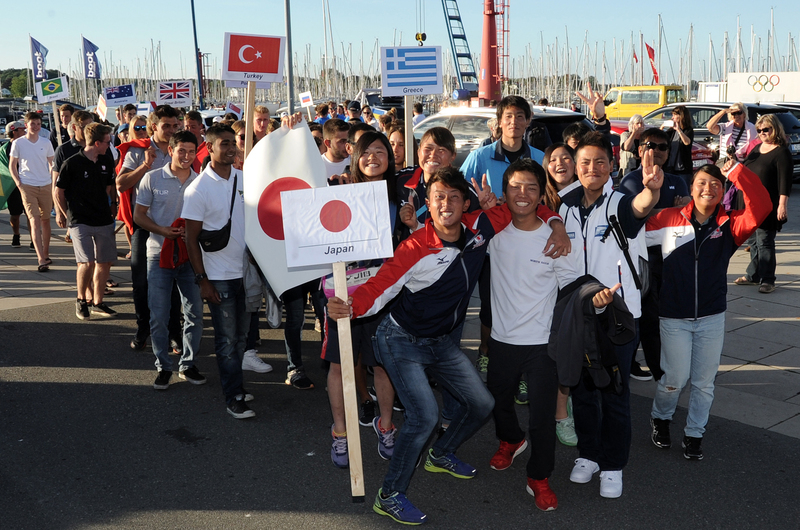 The local Organizing Committee will be providing daily photo galleries which will be available on the Kieler Woche website, Junior World Championship website and Facebook. 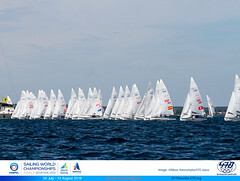 Daily video highlights will be published on the Kieler Woche website and Junior World Championship website.